HOT ON THE HEELS OF A WONDERFUL PANOM FILM PREMIER at the University of Chiangmai Art Museum are two new events, separate but ultimately connected. 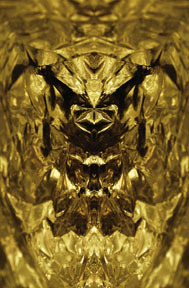 You’ll also find information on how to purchase the artworks on the front page of the catalogue. If you have any problem finding it, please email me at galen44@gmail.com. Thanks once again to the intrepid and digitally deft choreography of webmaster, Tim Davies thegardenchiangmai@gmail.com. He makes getting from here to there, really, quit simple. With more grateful thanks to my friend, Alex Boyesen at Digital Mixes http://www.digitalmixes.co.uk/partners.html , the DVD has been made even better with a remarkable sound track, featuring the compelling music of Jami Sieber, http://www.jamisieber.com/. 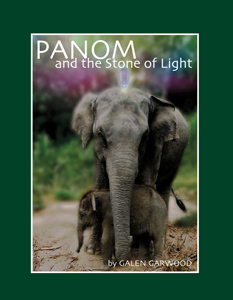 Jami’s wonderful CD ‘Hidden Sky’, much of which is included in the Panom DVD, is a musical paean in response to her personal experiences with elephants in Thailand. It is my hope that this story for children will also generate funds for the benefit of the elephants. As it progresses, I’ll keep everyone alerted through. 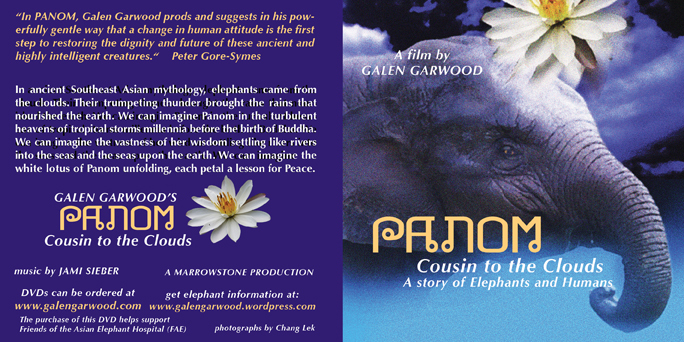 And, in a few weeks, look for an update on the DVD progress and photos of the elephant hospital.